How to restore lost apps on iPhone? We are often forced to remove iOS apps due to limited iPhone space. Other times we accidentally delete an app from the iPhone or it suddenly disappears. It doesn’t mean we’ve lost the apps forever. Here’s how to restore lost or deleted apps on iPhone. I deleted an app. How do I get it back? Can I recover app preferences and documents? Easy! The App Store keeps track of all the apps you ever purchased or downloaded on the iPhone or iPad. This facilitates recovering lost or deleted iPhone apps in at least two ways. From within your iPhone, enter the App Store and search for the app you are trying to reinstall. Then simply re-download it. 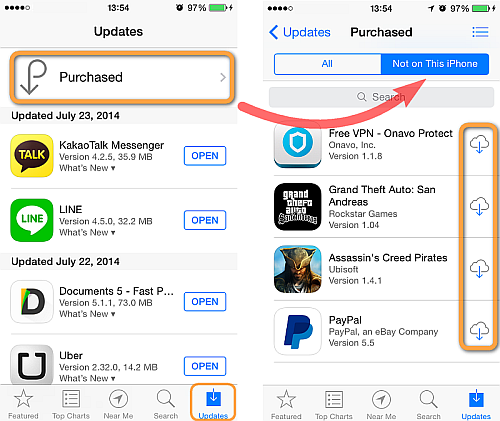 For paid apps you already purchased, it might seem that you have to re-purchase at first. However, once you tap on the price and enter your Apple ID and password, you are returned the following message which means that you can download the app for free. A more useful way to recover purchased apps is via using the Purchased list. To do so, on your iPhone, open the App Store and tap “Updates”. Tap “Purchased”. Finally, tap “Not on This iPhone”. You see a list of all your previously purchased or downloaded apps which have since been removed or were never installed on this iPhone. Often restoring lost apps is not enough if you don’t also recover the associated app preferences and documents. This is where it all becomes a bit blurry. Different apps store different amounts of app data on your iPhone and in the cloud. Certain iPhone games such as Angry Birds or Clash of Clans store game progress in the Game Center. Unless you specifically removed this information upon deleting the app, the data and preferences will be restored upon re-installing the app. 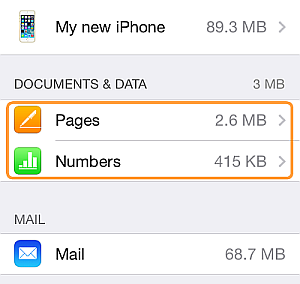 Some apps such as Pages, Numbers and Keynote are designed to store all associated documents and data in iCloud. If unsure, you can check which of your iPhone apps store documents and data in iCloud by going to Settings > iCloud > Storage & Backup > Manage storage. Such apps appear under the “Documents & Data” section. Back up and restore all apps and other iOS content at once! Use CopyTrans Shelbee if you just got a new iPhone and are planning on migrating your old iPhone content including app documents, settings, messages, contacts, calendars and camera roll to the new iPhone. Here’s how easy it gets. If some of these apps are nowhere to be found on your iPhone, you either deleted them from your iPhone and can easily redownload them from the App Store, or it means that usage of the applications has been restricted. 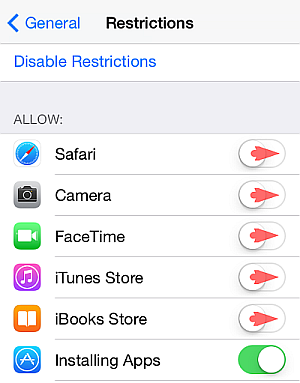 To enable back the default iPhone apps, on the iPhone, navigate to Settings > General > Restrictions and toggle the switch next to each app to the ON position. 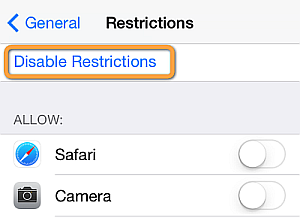 You can alternatively disable all restrictions in place by tapping “Disable Restrictions”. Have more ideas on how to recover lost iPhone apps? Post your suggestion in the comments section below.